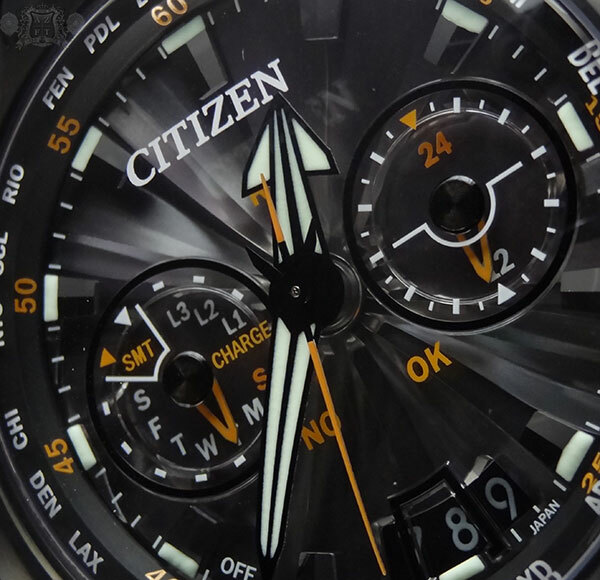 One of the hottest items to hit the market this year from Citizen is their new Promaster Altichron series. 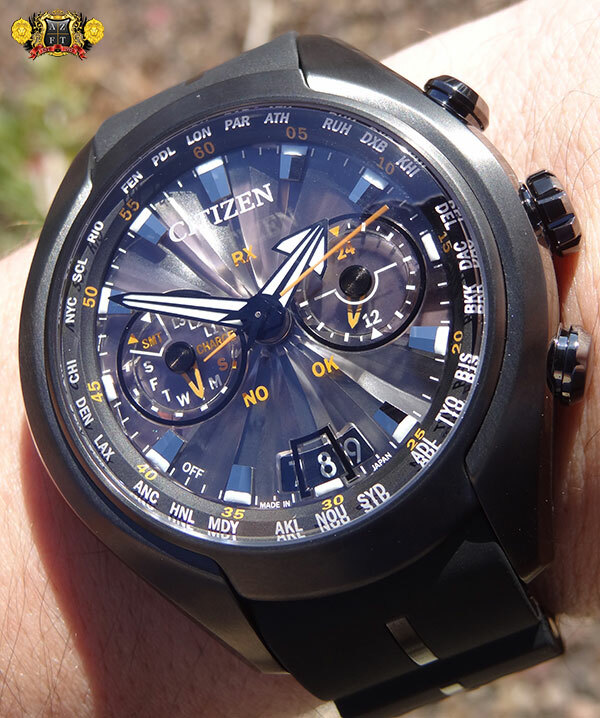 With a high quality build, impressive functions, and very cool design, it appears that Citizen has hit a home run with these models, even though they have barely started to hit the market. There a two versions, on in a titanium finish (BN5030-06E), which is still yet to deliver, and the DLC finished version (BN5035-02F), which has finally landed at AZ Fine Time. The Altichron is a name that dates back to 1989, but today introduces a new set of functions for Citizen. 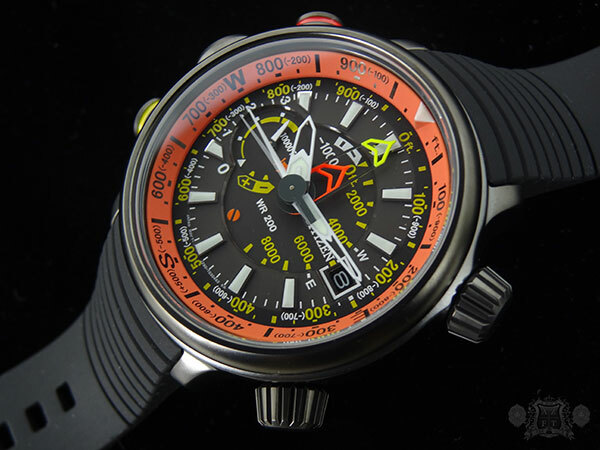 There is an altimeter as well as compass which are displayed analog, and the time is not effected when either are in use. So basically, you can run the compass or altimeter and the clock will stay running and still display time, unlike other brands with similar features. 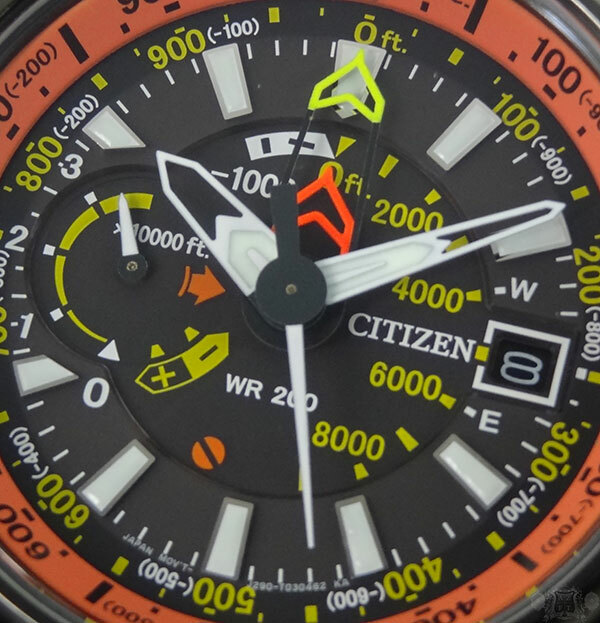 The dial, while complicates, still remains legible and displays 10,000’s of feet at the 9:00 sub dial, 1,000’s of feet with the orange hand on the inner circle of the dial from 12:00- just past 5:00, and the 100’s of feet with the yellow hand pointing to its measurement on the outer edge of the dial. 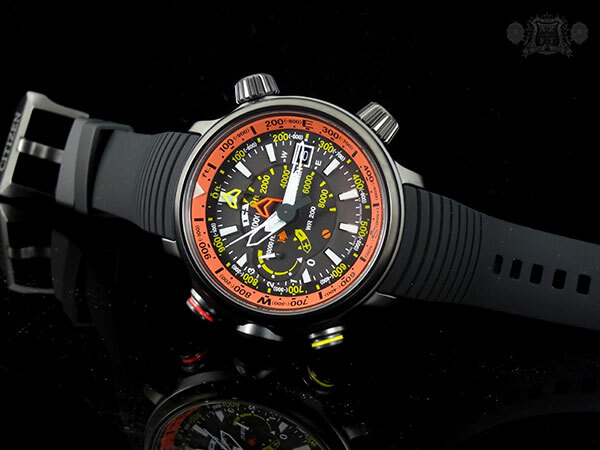 The orange inner rotating bezel can be used to set a reference point where your altitude starts. 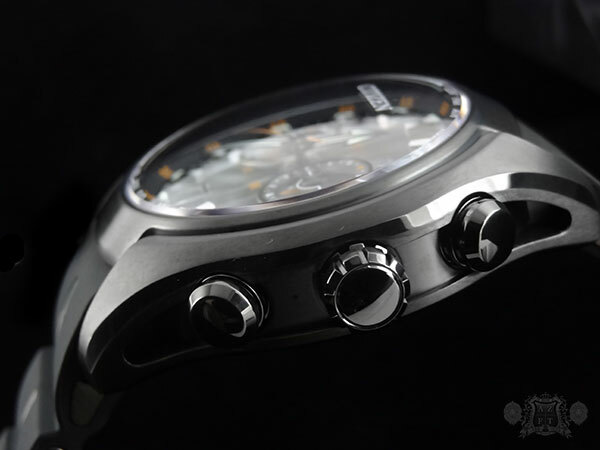 You will utilizes the upper right crown to turn the inner bezel. This way if you’re hiking a mountain, the altimeter will measure the altitude continuous for the first 5 minutes, then the measurements will be updated every 3 minutes after for up to 12 hours. Using the inner bezel, you can see how high you’ve gone on your hike. 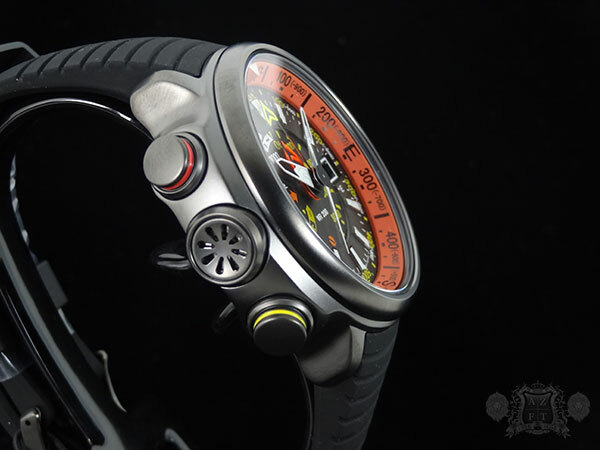 The altimeter is simply started by pushing the lower left button with yellow ring. The Altichron can measure anywhere from -1,000 ft to as high as 32,000 ft. 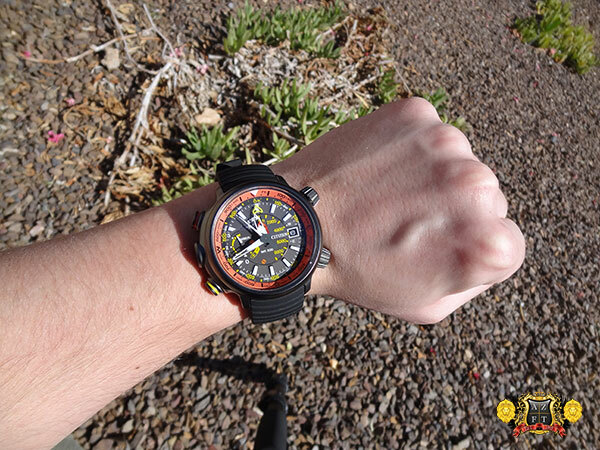 The watches compass is also very easy to use by pushing the upper left button with orange ring. This activates the electronic compass, which will always point to magnetic north. The inner rotating bezel also comes to use with the compass feature as you can use it to see your bearings. By adjusting the upper left crown to set the upside down triangle to where the compass is pointing, you can mark your scale. The large case on the Altichron measures out at about 50mm wide and 16mm thick, but only weighs an impressive 100g due to its titanium alloy case. The DLC coating on this model gives it a matte color somewhere in between gun metal and black, and also adds to the scratch resistance. 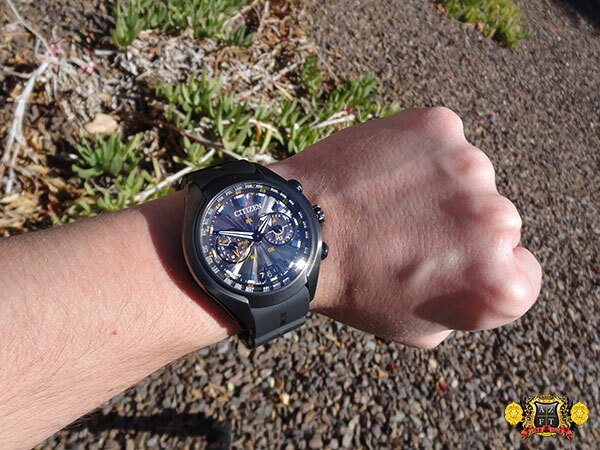 The watch is incredibly comfortable thanks to its unique placement of crowns/buttons and its liquid rubber strap. The soft and pliable rubber is a new material Citizen just introduced this year, and is a definite upgrade from the standard polyurethane. 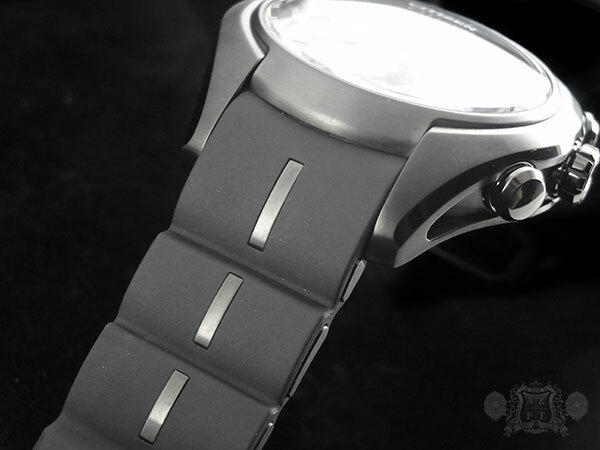 The clasp is also DLC titanium with a large and secure design. The crystal is a hardened mineral with anti-reflective coating. 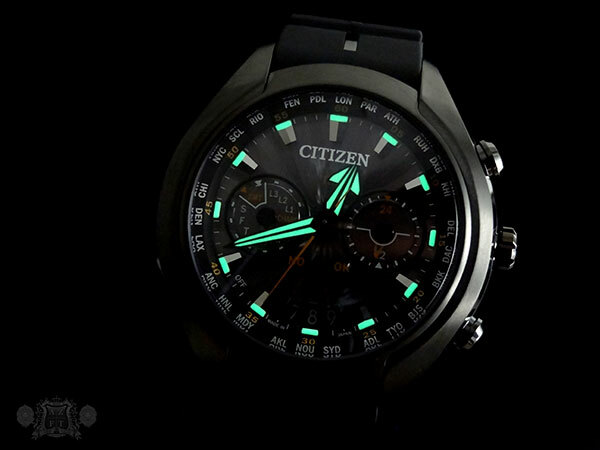 Overall the Citizen Promaster Altichron’s are truly impressive. The BN5035-02F retails for $995, but can be purchased directly through our website for $746.25 HERE. The BN5030-06E is scheduled to come in within the next couple of weeks. To see our review on this model, please click HERE. 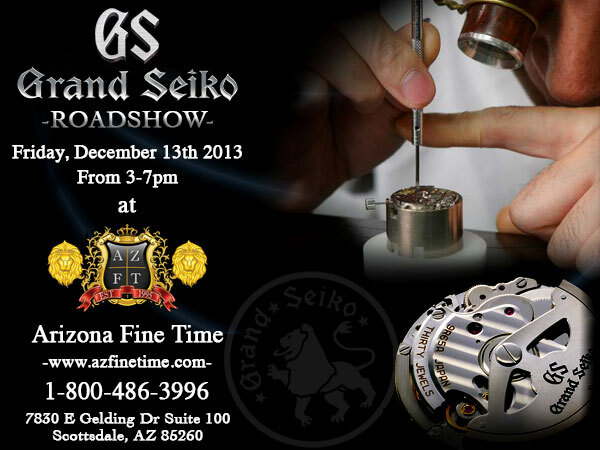 It’s that time of year and AZ Fine Time has finally confirmed the return of the GRAND SEIKO ROADSHOW! This highly anticipated event will take place on Friday Dec. 13th from 3-7pm. There is going to be a lot of great things at this event, so be prepared for a show even bigger than previous years! 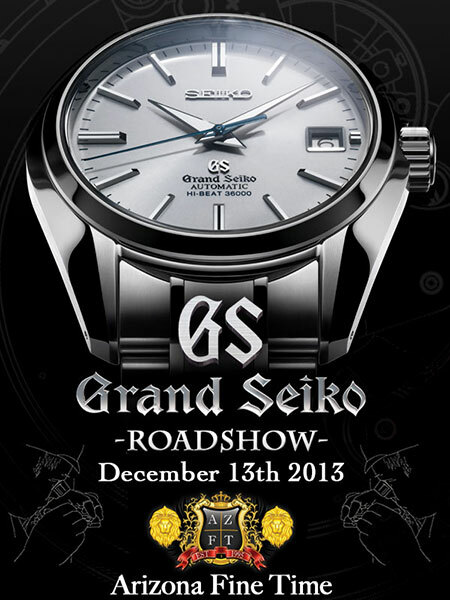 For those who don’t know, the GS Roadshow is an event where Seiko brings one of their Grand Seiko master watchmakers all the way from Japan to AZ who actually builds one of the most precise watch movements in the world, here in our store. We have this event every year and each year it gets better and better. We’re doing some extra special things for this event and will, of course, have free food, drinks and cigars (by Diamond Crown). 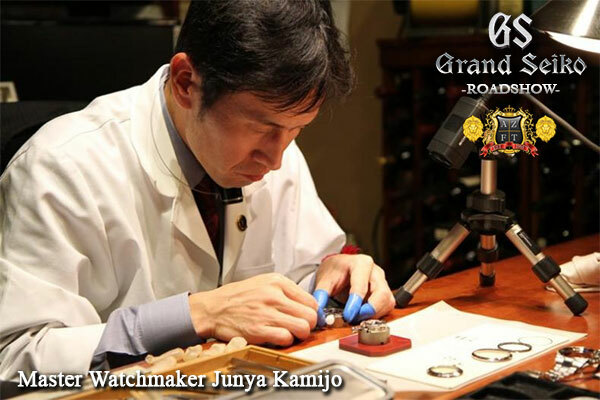 One special note about the Roadshow this year is the return of master Spring Drive watchmaker, Mr. Junya Kamijo! 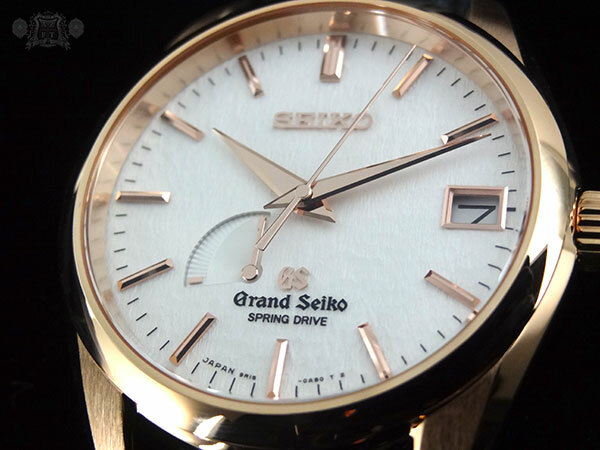 Mr. Kamijo is considered to be one of Seiko’s top Spring Drive technicians. The skill he has is incredible, as we learned during our 1st GS Roadshow when he attended in 2010. A gold medalist in Japan skills competition, and capable of building a 416 part 9R86 Spring Drive chronograph movement in record time, we are very proud to have him return to our store. 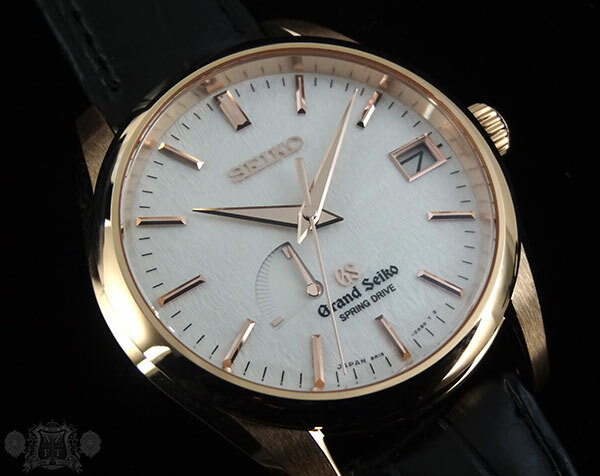 Mr. Kamijo was also the 1st to introduce us to the Grand Seiko Spring Drive SBGA011 “Snowflake”. During his 1st visit, he wore the Snowflake with great pride and was the 1st to explain its background story as a dedication to their hometowns winters. Needless to say, he is a big part of the reason the Snowflake is one of the most popular Grand Seiko models today. Mr. Kamijo will be autographing watch boxes for purchases made during the event. 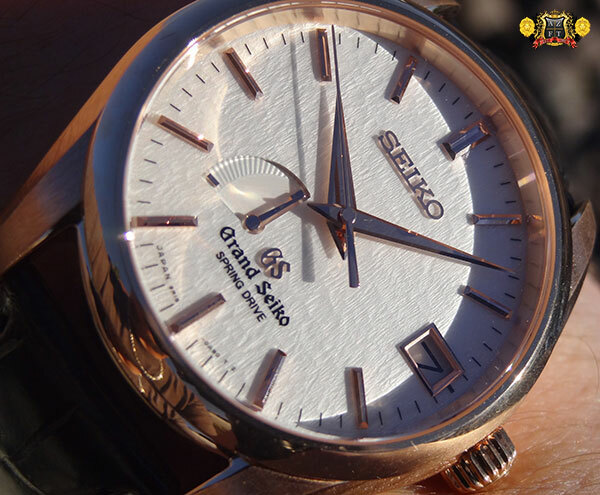 Due to limited availability of GS, it is recommended to plan ahead and reserve the Grand Seiko of your choice to be purchased during the Roadshow. It is a great time to pull the trigger on a Grand Seiko and get an autograph from one of the most renowned watchmakers from Seiko. 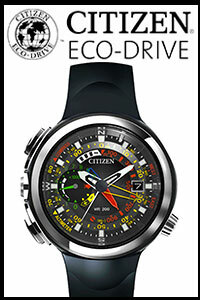 During the Roadshow, we will also be hosting an event for the Seiko Astron GPS Solar. Capable of connecting to multiple GPS satellites, and pinpointing your current location, the Astron GPS will adjust to the appropriate timezone at just the push of a button. 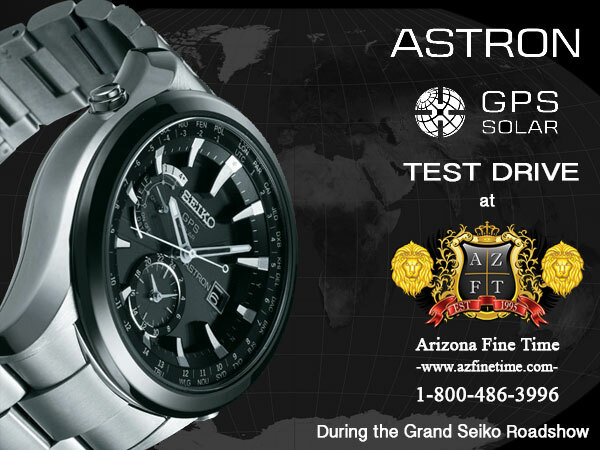 To all who attend, and “test drive” the Astron GPS, AZFT and Seiko will actually give you a FREE Seiko XNY watch! 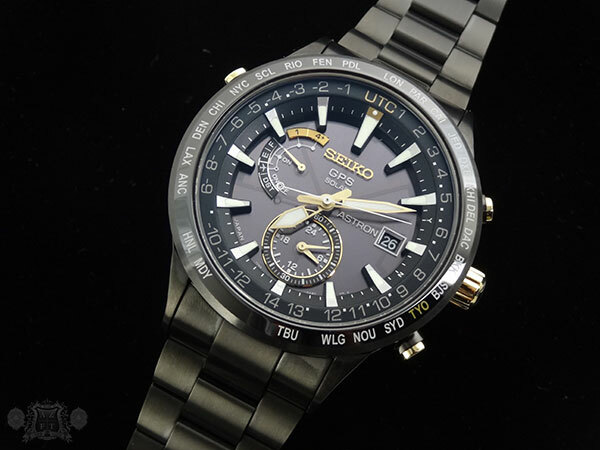 There will also be gifts with purchases of any Seiko product during the event, so don’t miss out on this great opportunity! 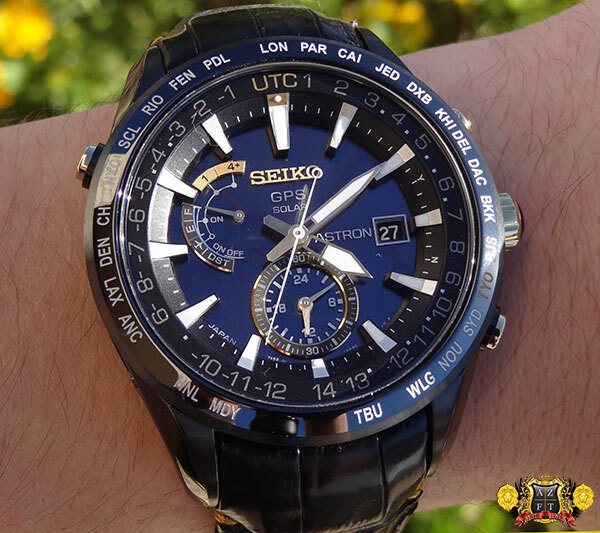 We’ll have other various members of Seiko USA and Seiko Japan joining us for the event, including the new president and chief executive of Seiko Corporation of America, Mr. Yosh Kawada. Mr. Kawada has previously attended events with AZ Fine Time as senior VP of Seiko USA, and we are excited to have him back to visit in his new role! 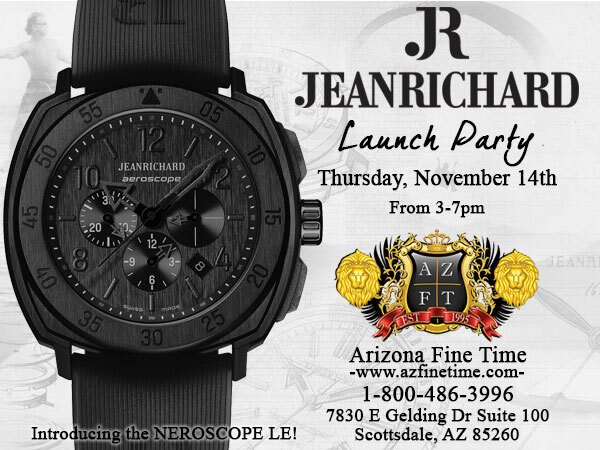 On Thursday Nov. 14th, AZ Fine Time will be hosting a launch party for our newest brand, JeanRichard, here in our Scottsdale store. The newly revamped line has some incredible timepieces, with unique looks, outstanding craftsmanship and proves to be a tremendous value. The series of 1681, Aeroscope, Aquascope and Terrascope will all be on display and we will be presenting one of the 1st looks at the new limited edition Neroscope! 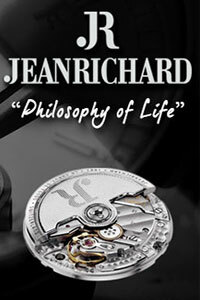 During the event, we encourage you to come and meet JeanRichard’s US Sales Director, Paul Erhardt. Paul is incredibly passionate and knowledgable and will be explaining the intricate details of their brand including their history, quality build, mechanics and philosophy of life. 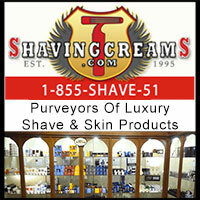 The launch party is sure to be a great event and everyone who attends will get a free gift from JeanRichard and AZFT. During our launch of the JR’s, we will also be hosting a cigar tasting with Zino Platinum, by Davidoff and will be giving out free cigars to anyone who wishes to partake. Zino will also be bringing out a cigar lounge party bus, where they set up a mobile outdoor lounge. 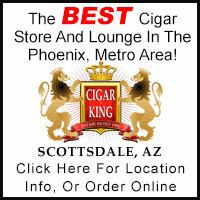 The weather will be great here in AZ and we encourage everyone who is in town to come and have a great time! 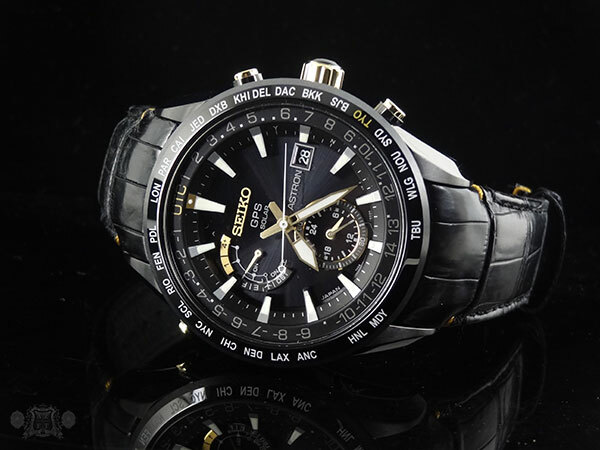 Kintaro Hattori is the founding father of what is known today as Seiko. The humble beginning started in the Ginza area as a clock repair service in 1877 and evolved into the establishment of K Hattori in 1881. By 1892, Kintaro Hattori purchased his 1st factory in Tokyo and the name Seikosha was born. From there, they manufactured their first clocks, which eventually led to Seikosha manufacturing Japan’s 1st wrist watch (the Laurel) in 1913. The company continued to grow and be recognized throughout the globe, leading to an impressive list of world firsts in watchmaking. 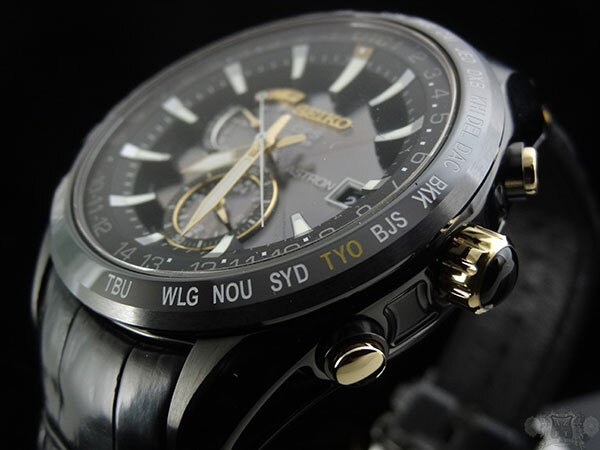 One of their biggest achievements was the worlds 1st production Quartz watch, named the Seiko Astron. 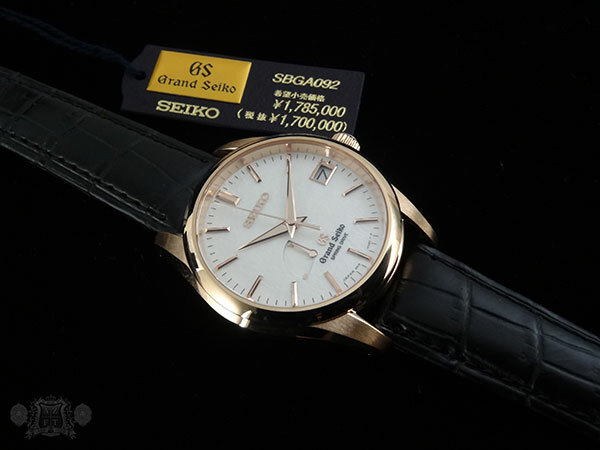 43 years later, Seiko introduced another world 1st model, abel to connect to multiple GPS satellites to pinpoint your location and adjust the hands to the timezone you are standing in. 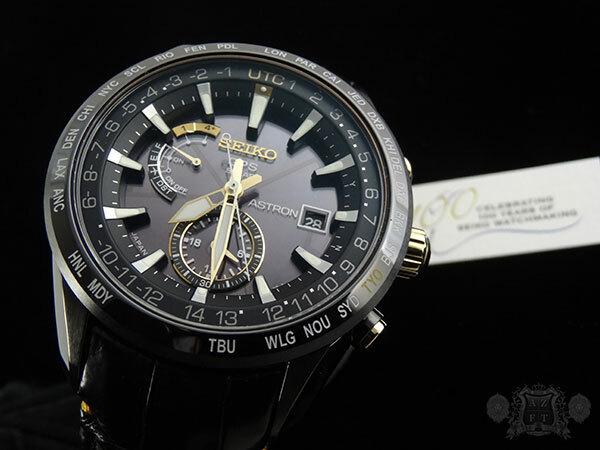 The introduction of the Astron GPS Solar has once again revolutionized timekeeping and for 2013, a limited edition model has been released, which is the first in Seiko’s history to bare the founders name… The Kintaro Hattori Limited Edition SAST100. The SAST100 utilizes the same 7X52 caliber found in all the Astron GPS models, so functionality is exactly the same. 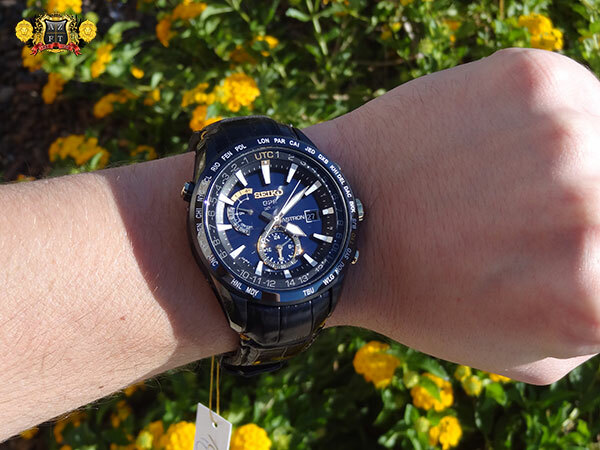 The solar powered model has its solar panel found underneath its translucent black sunburst dial, and from a full charge, can go a maximum of over 2 years in the dark in sleep mode. 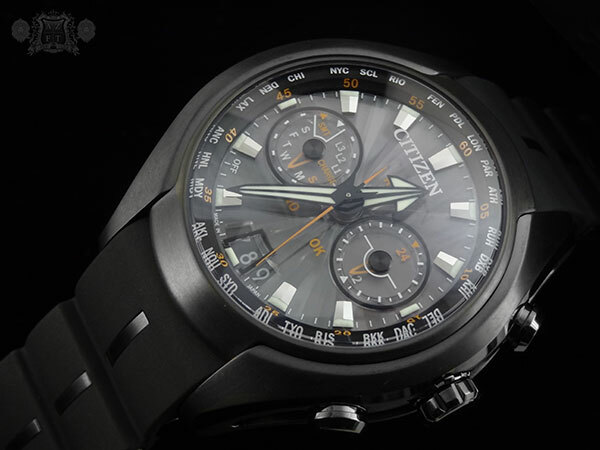 The bezel is made of ceramic with an in-house developed antenna ring hiding underneath, to ensure easy connection with GPS satellites and no metal blocking its path. 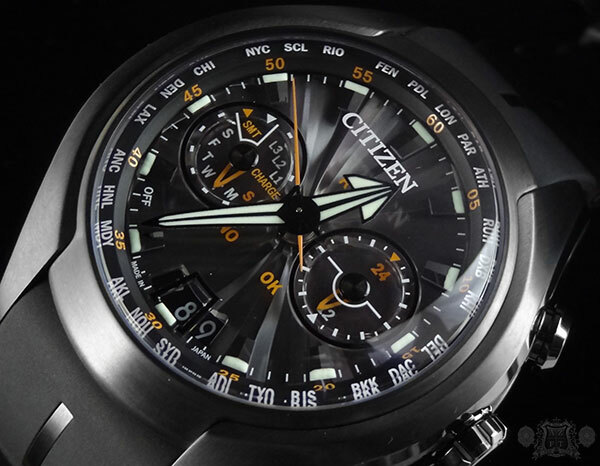 By holding the upper right button for 6 seconds, the watch will then connect to multiple satellites, configure your current location and adjust the hands accordingly to any of the worlds 39 different timezones. 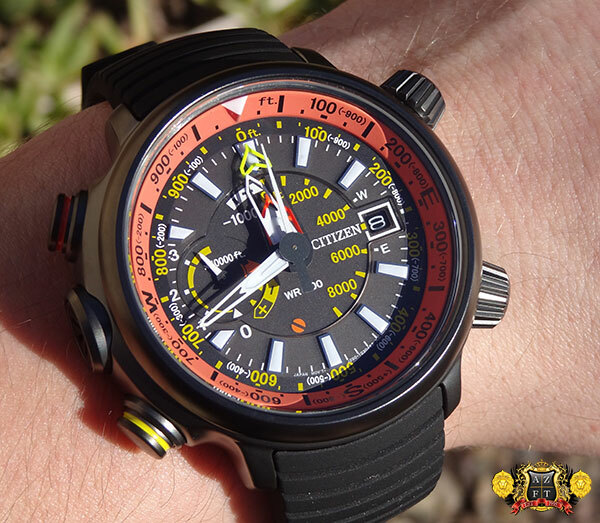 The Astron GPS has a mode indicator between the 9:00 and 11:00. 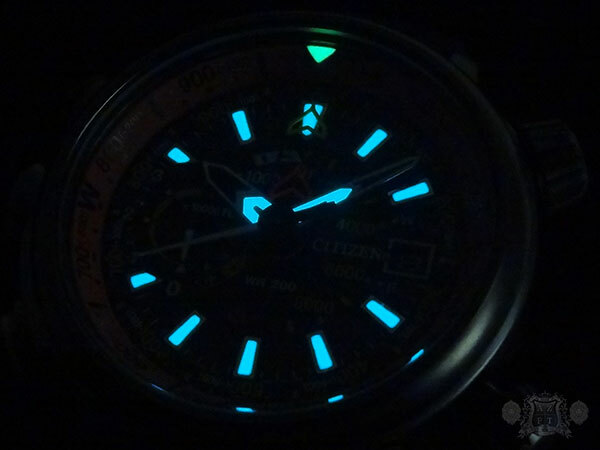 The main placement for the mode indicator hand is for the power reserve indicating F for full and E for empty. The daylight savings can be adjusted by pushing upper left button once and then holding down the lower right button. The watch also has an “Airplane Mode” which will turn all GPS functionality on or off. You can adjust this by pushing the upper right button once and holding down the lower right button. You can also connect the watch to a single satellite strictly to correct the accuracy, not the timezone, by pushing the upper right button for 3 seconds, the mode hand will then point to the “1” in gold. You shouldn’t have to do this too often as the watch has a smart sensor that recognizes bright light, and will automatically connect to a single satellite for accuracy adjustments once a day. You also have a “home time” sub-dial at the 6:00. This can be adjusted by pulling out the crown one click and using the upper and lower right buttons to adjust. This small clock does not adjust at all based off of the GPS updates. It is an independent clock that reads in 24 hour increments comes in handy when wanting to know what time it is back home when traveling. For the Kintaro Hattori Limited Edition, you have some special traits you will not find on other Astron GPS models. It’s 47mm High-Intensity Titanium case has a black hard coating and engraved case sides (as found on the 1st LE from 2012 SAST001). 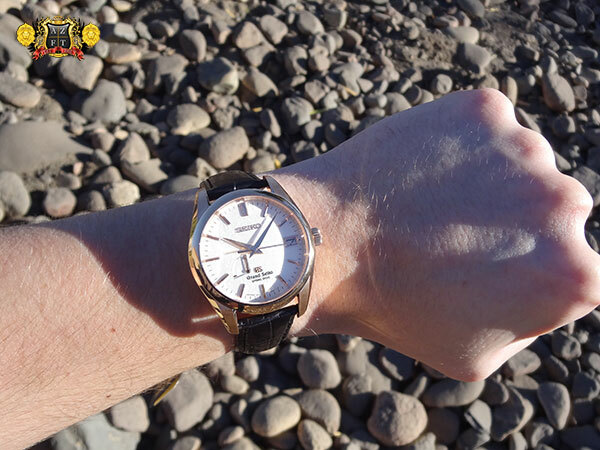 The yellow gold accents on the dial, ceramic jeweled crown and pushers are also unique to this model. The city codes engraved in the ceramic bezel all in white except Tokyo, Hattori and Seikosha’s home city, which is highlighted in gold. Another great aspect is the updated hands on this model, which are wider and have more Lumi-Brite making for greater legibility. 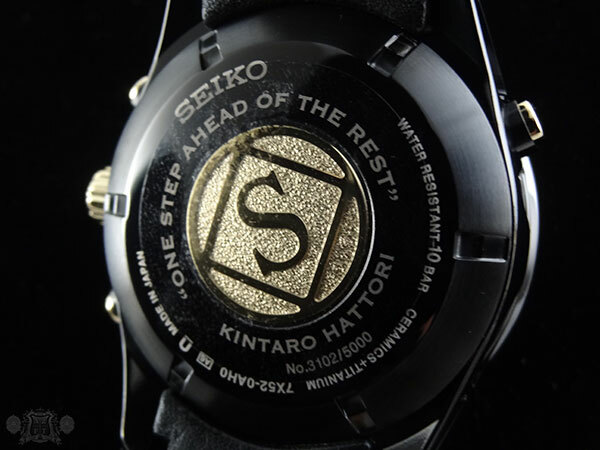 The case-back on this model also has a golden original Seikosha logo in its center along with the quote “ONE STEP AHEAD OF THE REST” and the founders name, “KINTARO HATTORI” surrounding it. 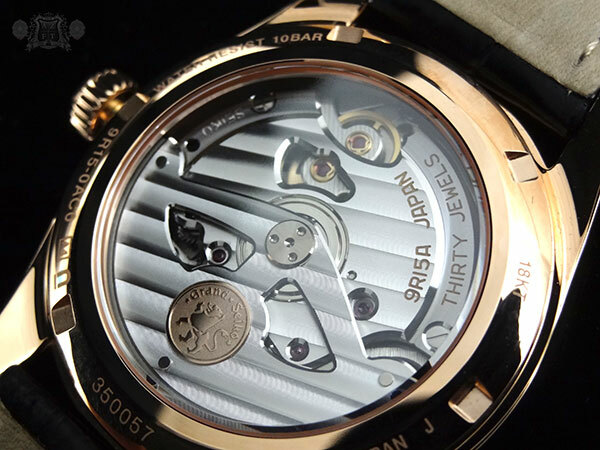 The SAST100 is limited to 5,000 pieces for the world, 2,500 of which never left Japan and is engraved with an individual serial number on the case-back. The piece comes on a beautiful crocodile strap with a deployment clasp, but also includes a High-Intensity black coated titanium bracelet. While the croc strap gives it a slightly dressier appeal, the look of the bracelet adds sportiness and still remains very lightweight. It is definitely an added bonus to have both strap options as when you change them out, it practically feels as if you have a whole new watch. 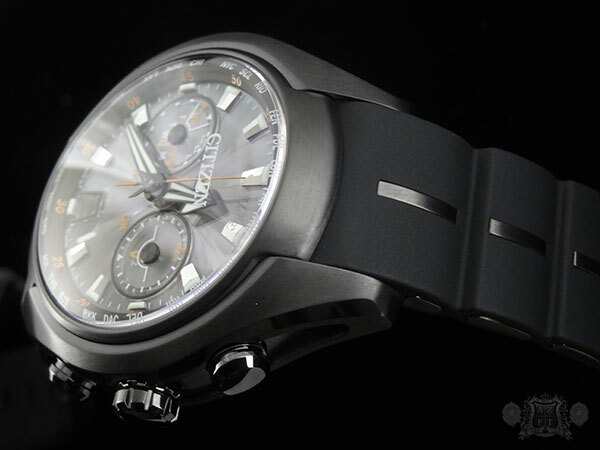 The Seiko Astron Kintaro Hattori Limited Edition SAST100 retails for $3,400 and can be purchased directly through our site HERE. 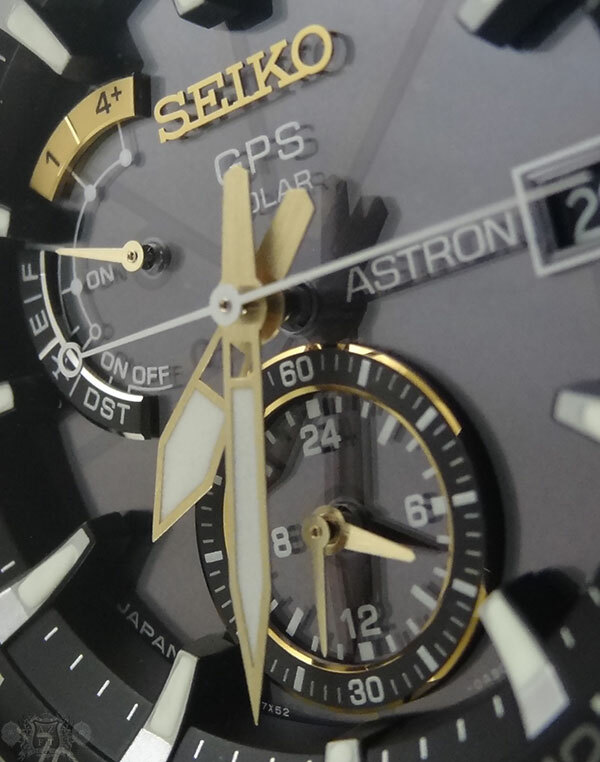 It is amazing to watch a company like Seiko grow and produce such unique items like the Astron GPS. With over 10 years of development and over 100 patents, these incredible timepieces continue to impress. 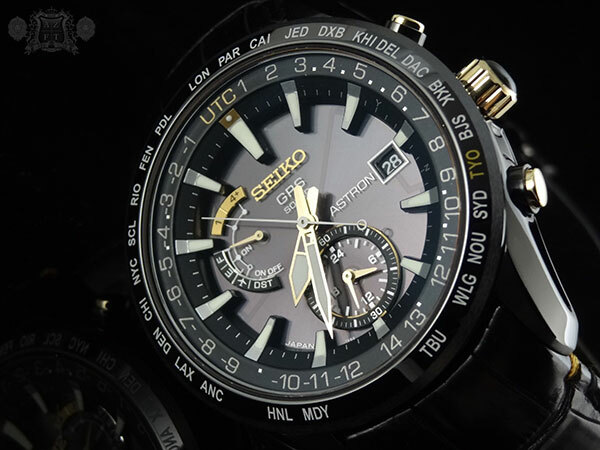 One thing I know for sure is that these will not be the last “firsts” from Seiko. Thanks for reading! Please feel free to call us at 1-800-486-3996 with any questions.